Home / Motorcycle News & Info / Would You Buy an Electric Motorcycle? Harley-Davidson announced that it will begin taking preorders for LiveWire, its highly anticipated electric motorcycle, in August 2019. There are many electric motorcycles already on the streets, and given the prevalence of electric vehicles glutting the market, it was only a matter of time before the quintessential American motorcycle brand went electric. The question for motorcyclists is, would you buy one? The LiveWire was featured at EICMA 2018 (Esposizione Internazionale Ciclo Motociclo e Accessori, or the Milan Motorcycle Shows), an annual trade show in Milan, Italy, in November, along with other electric models. Test riders have already tested out LiveWire prototypes, and reviews are starting to hit the presses. Here is what we know so far. The LiveWire is fast, and it’s got great torque: at 74 horsepower (hp) and 52 foot-pounds (ft-lb) of torque, it will rev from 0 to 60 in under 3.5 seconds. It has an estimated travel range of 110 city miles on a single charge. It’s quiet – but that may be an option; we’ll address that below. It has a state-of-the-art customizable touchscreen display, and, Harley-Davidson says, will be the world’s most connected motorcycle experience. It comes equipped with H-D Connect, an application that allows users to remotely connect to real-time data about battery status, service needs, location, and security alerts if someone is tampering with the bike. Of course, the LiveWire is not the first electric chopper, or the only option out there; time will tell if it’s the best electric motorcycle. 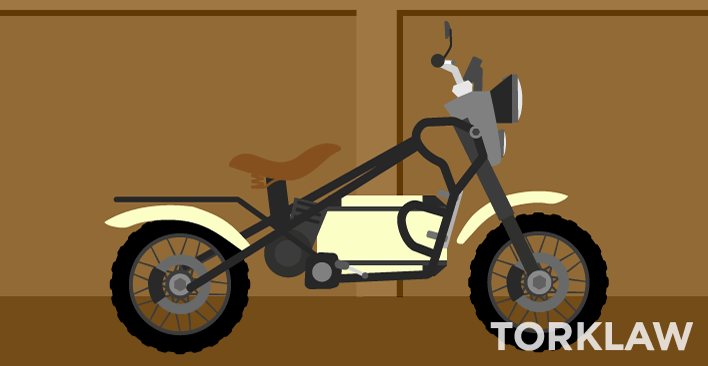 Electric motorcycles are nothing new; in fact, they’ve been around for more than a century. 1895: Ogden Bolton Jr. of Canton, Ohio files a patent application for an “electrical bicycle” on September 19. On November 8 of the same year, so does Hosea W. Libbey of Boston. 1919: Ransomes, Sims & Jefferies produce an electric motorcycle named Orwell, with batteries under the seat of a sidecar and a control box in place of a fuel tank. 1941: Socovel electric motorcycle company was founded in Austria in response to fuel rationing in German-occupied Europe during WWII. 1946: Marketeer Company, founded by Merle Williams to produce electric vehicles due to U.S. fuel rationing; mostly produced golf carts, and some electric bicycles. 1967: Karl Kordesch, one of the inventors of the alkaline battery, makes the first hydrazine fuel cell motorcycle. 1973: Corbin-Gentry’s XLP-1 becomes the first street-legal electric motorcycle. 1978: Transitron Electric Corporation builds a single “Harley-Davidson MK2” out of 1971 Harley XLH Sportster. 1988: Ed and Randy Rannberg’s Eyeball Engineering creates “Kawashocki” electric drag bike, featured in Hot Bike magazine. 1995: Peugeot Scoot’Elec released; considered the first mass-produced electric motorbike. 1996: EMB Lectra VR24 electric motorbike is the first to use variable reluctance (VR) electric drive system. There’s a lot to like about today’s electric motorcycle models. For a start, they’re zero-emissions vehicles, so they’re better for the environment. There may also be tax incentives for purchasing a green vehicle, and you’ll save more money on gas than you’ll pay in electricity to charge your EV bike. Unlike electric scooters, the high-performance models usually have high torque (the force behind acceleration). The Lightning LS-218 electric superbike produces 168 ft-lb of torque, and can go from zero to 60 in less than 3 seconds. And they’re fast: the LS-218, the fastest production electric motorcycle on the market, was so named because it hit 218 mph at Bonneville Salt Flats in 2013. 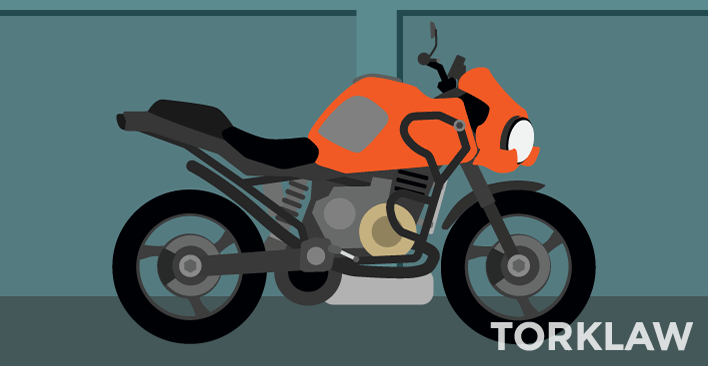 Because there’s no clutch or gearbox, they’re easier to ride than traditional motorcycles, even for novices. They also require minimal maintenance – although if you like to tinker on your bike, that may be a drawback. Another plus: the engines don’t heat up as fast, so, no more hot legs on long rides. 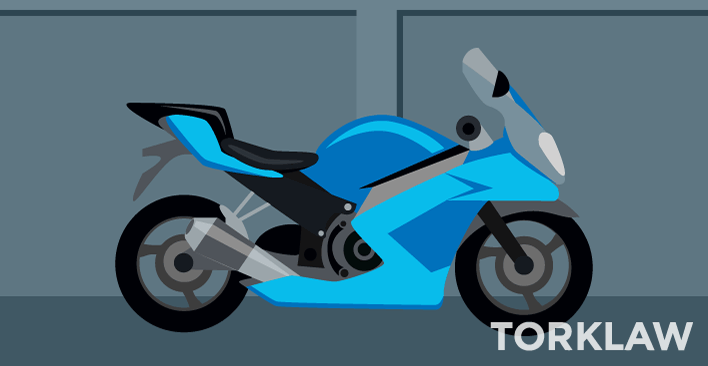 Like traditional motorcycles, riders can find styles that are modern and sleek, or aggressive like traditional electric “chopper” styles, so in terms of look, most motorcyclists can find a model that appeals. Finally, they’re quiet – which, again, may not suit everyone. And the quiet ride does take some getting used to: it’s easy to forget it’s running, twist the throttle and watch the bike take off without you. Many motorcyclists like the rumble and the vroom of acceleration, and some models, including the H-D LiveWire, try to replicate that sound. Zero emissions, high performance, low maintenance – why wouldn’t you buy one? Because you might not be able to afford it. 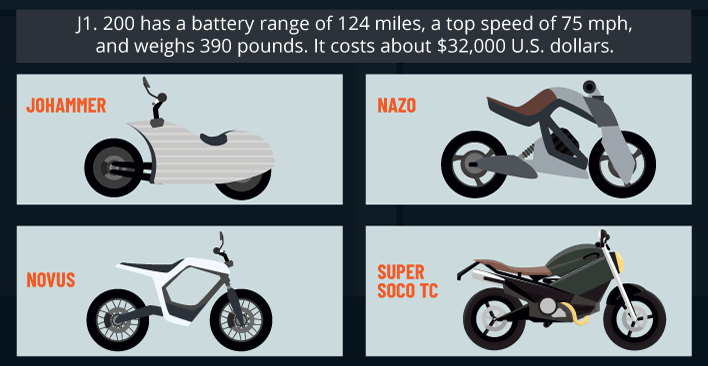 Like electric cars, electric motorcycles tend to be much higher-priced than traditional ones. For example, a Lito Sora starts at $77,000. You’ll find plenty of lower-priced options, and some even higher, but most are between $20,000 and $40,000. Another concern is the travel range. Most will go around 100 miles on a full charge – the Brutus V9 and Zero SR can go over 200. But once the power’s gone, it’s not as quick and easy to recharge as it is to simply fill your tank with gas. Battery pack charging times range from two to eight hours – although some models offer “fast charger” add-ons that will give you a full charge in as little as 30 minutes. For those who commute short distances, and can charge their vehicles at night, this may not be an issue. However, with the shorter-range vehicles, road trips may cause range anxiety. There are many amazing electric motorcycle models on the market right now, including a number of models by Alta Motors, two of which are listed below. They range from dirt bikes to commuter bikes and sport bikes to superbikes. Here are the specs for some of the more impressive ones we’ve seen. The futuristic-looking Johammer, developed and manufactured in Austria, is available in Europe now. This is an entirely new breed of motorcycle, both in terms of look – with an aluminum-encased body – and engineering: this electric cruiser’s motor and controller are integrated into the rear wheel. The J1.200 has a battery range of 124 miles, a top speed of 75 mph, and weighs 390 pounds. It costs about $32,000 U.S. dollars. Yamaha’s Nazo electric motorcycle’s minimalist concept design was inspired by the gorilla and features a levitating seat effect and removable batteries. According to the designer, it will be a powerful bike with high torque, 185 horsepower and a top speed of 164 mph, and will weigh about 430 pounds. Look for production bikes in a year or two. The Novus electric commuter also features a minimalist design and lots of negative space, which makes it super-lightweight, weighing in at only 85 pounds. But this German-made bike is made for commuters: its range is only about 60 miles per charge, and the top speed is 60 mph. And, with a $39,500 price tag, currently only wealthy commuters are likely to go for a Novus, but we’re interested in seeing more from this maker. The Kawasaki Ninja Ultra concept design took the opposite route and based their future electric bike on the design of the Ninja H2. Whether the Ultra will have the power output of the supercharged Kawasaki H2R remains to be seen. On the other end of the commuter bike spectrum is the Super SOCO TC, which looks more like a motorcycle. Its range and top speed is similar to the Novus, but this bike starts at only $5100. It’s due to come out in Europe this year, but American customers will have to wait a bit longer. Finally, Richard Hatfield’s Lightning Motorcycles recently released specifications for its upcoming Strike. We don’t know what it looks like, but it boasts 150 mph top speed, 150 miles of range, and 35 minutes charge time, starting at $12,998. 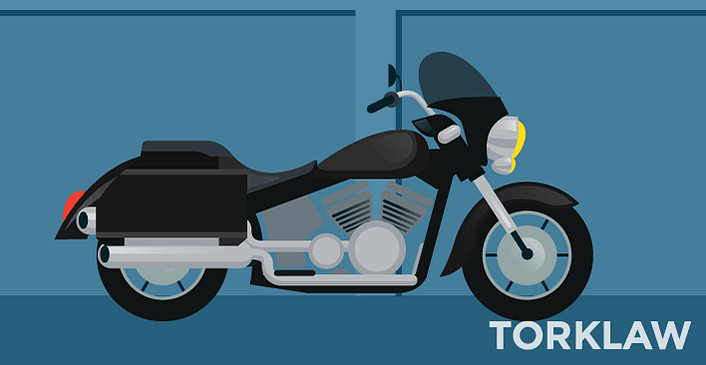 Whether you’re excited about the new EV trend in motorcycling or prefer more traditional gas-powered vehicles, the TorkLaw team hopes that you will ride safely. If you have been injured, whether on the road, on the job, or by a defective product, we can help make sure that you recover what you need to keep on riding. Call us for a free, no-obligation consultation today.